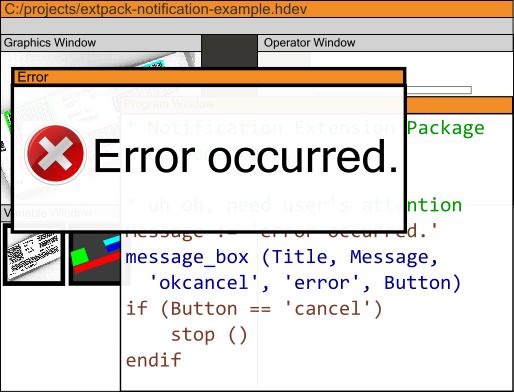 The Notification Extension Package for HALCON is an extension package to send notifications to the user from within HDevelop. Get attention from the user if intervention becomes necessary: Show message boxes, tray icons, balloon tips. Beep. Supports HALCON 12 and 13 and will support upcoming HALCON Steady Editions. The JSON Extension Package for HALCON is an extension package meant to create, modify and parse JSON strings within the HDevelop language. 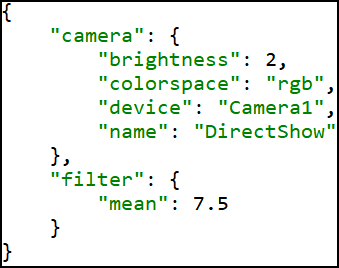 The JSON Extension Package for HALCON brings advanced data structures to the HDevelop language. This Extension Package also enables usage of persistent and human-readable configuration files which are compatible with modern web standards (Industry 4.0). Supports HALCON 11, 12, and 13 and will support upcoming HALCON Steady Editions.